Free weight training is one of the most effective and most varied ways for muscle building. 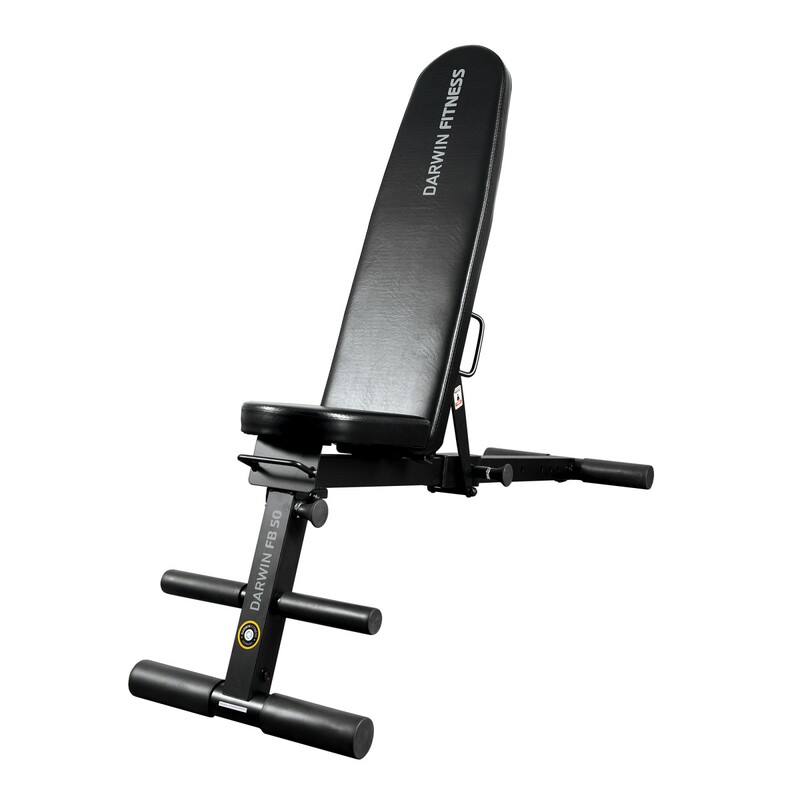 A training bench like the Darwin weight bench FB50 offers support. The weight bench of Darwin is stable and has a comfortable upholstery. The backrest is 7 times adjustable: from right angle via vertical to negative position. Footrests offer additional stability for weight training at home and make abs training possible. In combination with a barbell module or a weight rack, the Darwin weight bench FB50 is also suitable for barbell training. Overall very good. The only drawback is that seat is not adjustable.